Hello ERHS / RCHS Alums -- 1,975 TAC Tigers! Hope you are wintering well! Hope you are comfortable and enjoying family and friends! Barb and I missed another one last Sunday, March 3! I know what it is like to be close enough to hear one. Very terrifying! As you may know from national news, southwestern Georgia and Alabama got hit hard with a storm that produced many tornados. People killed; property damaged. We're safe. Missed another one! So, Happy March you all this Fifth blast of this eighth year of our scholarship program! Been a slow week. Below is a new donation total. As of Wednesday, March 6th, the drive total is $5,632.82. To see those who donated so far, click on the total above or on Janet's picture. Remember: the Tiger Pride Alumni Association, Ltd., is a charitable, tax-exempt, 501(c) (3) organization. Janet will mail you a (legal, for your taxes) statement acknowledging your donation. To do that she needs your help. Please be sure she knows the donor's name(s), the return mail address, and any special requests. Some donors request anonymity. Some wish their gift, when posted on TAC, include an honor of someone special. Some request that a challenge to classmates to donate be included. Want to start smiling? Want a warm feeling? Take a look at the pages that Principal LeCrone is sharing. I enjoy looking at the pictures and names of the kids featured monthly. You see, he shares the students who are honor students and those students named that month by their teachers as "Character" ones -- meaning good ones living the school code of good people. Almost everytime I visit his pages, I see students of families I know. I am so pleased for them and their family and friends. Click on the school picture, his name (or here) to see his title page. From there visit different months. 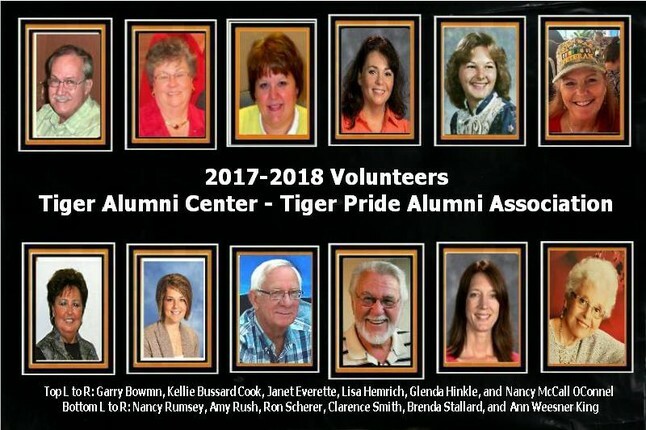 Click here or on the image above to see the 2019 Volunteers! A dozen volunteers are eager to see the donation total hit $20K! You know, sometimes I just feel so amazed at my fortune to have such talented and service-minded people, helping you enjoy being alums of ERHS / RCHS! Click on the picture above or here or on the title of this section to reach my volunteer list and see links to their service and my praise. The Numbers Count -- Connecting and Sharing! I'll repeat the key point of my last blast to you. Our membership size could make group donating result in getting us close to our goal! Yes, I do believe that! Of course I'm a dreamer! It's March 7th and we've reached 1/4th of our goal. We need more donations now. I'm still thinking we can do this! If we connect and share! It's a big IF. But why not? Nothing else I do this year is more important than helping our youth! Your donation is welcomed now.